Tis the season to put up your Christmas trees and attack everyone with snowballs. Just in time to raise the holiday spirits of every Overwatch player around, Blizzard have tweeted a little preview of their annual Winter Wonderland event featuring a Christmas makeover for Blizzard World. This year the event will launch on December 11 and you can grind for those seasonal skins all the way until January 2. At the moment, there is no indication that a new mode will accompany this event so it seems you’ll have to continue to hunt an aggravated Winston in Yeti Hunter and perfect your aim in Mei’s Snowball Offensive. What you can expect is new cosmetics to go along with this Winter celebration and what’s a better way to celebrate Christmas than with a new skin of your favourite character? No leaks of any Winter Wonderland character designs have been found on the internet which leaves quite a few possibilities for the upcoming skins. 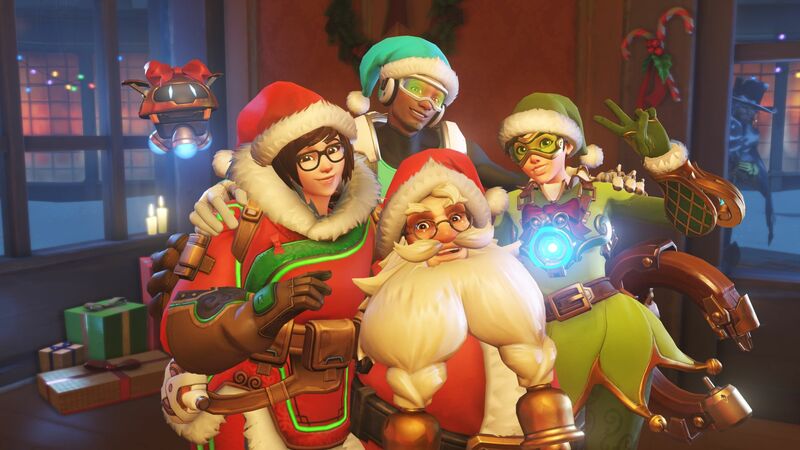 Maybe Ashe will receiver her first event skin, or will D.Va take the cake after two years of minimal Christmas aesthetics? All we can do is wait and see so in the meantime, GLHF. Which character would you like to see in a Winter Wonderland skin this year? Let us know in the comments down below!